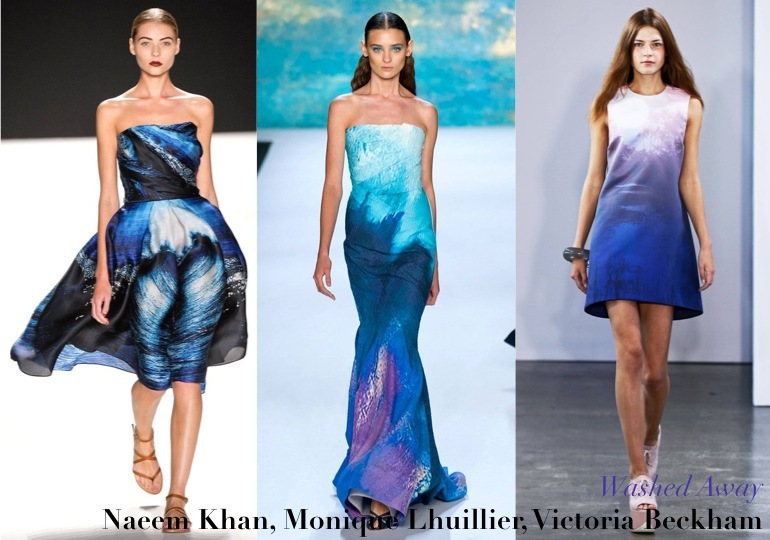 After reviewing all of the spring 2013 shows from NYFW a few stand out themes and trends began to catch my eye. First up the top color trends from the runways! 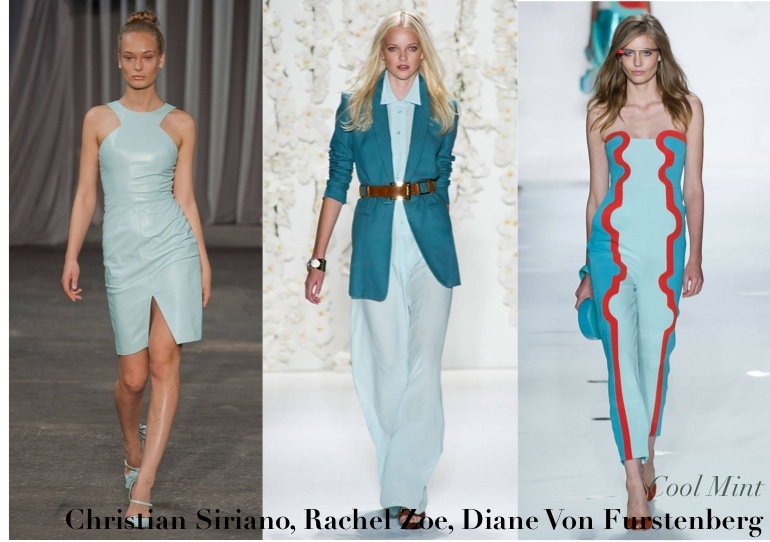 Cool Mint: Last year’s runways also showed this transitional pastel and its Easter-egg cousins. I am excited about the hue this year because of the way it varies from light to deeply saturated and the silks and chiffon to serious leather. Modern Neon: Neon has been a fashion girl favorite for a little while now, but I love the mix of the hyper-bright colors with the simplicity of clean and modern shapes. A sleek column, the perfect cap sleeve and brilliant color. Gilded Lady: The golden girl is the one to watch for spring’s most formal moments. These styles, worth their weight, are just right for every girl. An evening gown that is sweetly romantic, boho luxe or deco glam is that much of a statement maker when dripping in gold. Peacocking: Did you know that the beautiful feathers that peacocks are famous for are only on the male birds? Not true for the spring runways. 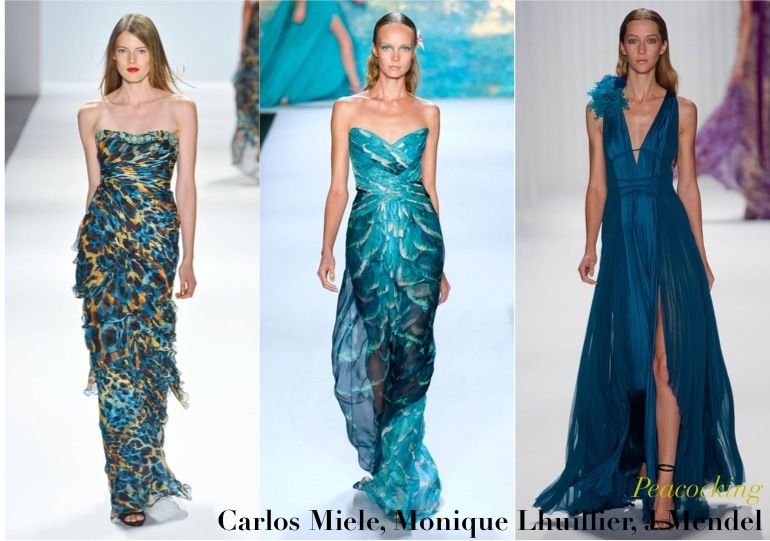 In gorgeous gowns, in whispy fabrics, models sashayed in the deep turquoise hue that would make the proudest flock green with envy. Washed Away: Beach inspired, but not at all beach ready, a stand out pattern trend was fabric splashed with movement and crashing with wave inspired prints. Paired with sleek hair and clean makeup, these mer-models were the best fruits of the sea. This entry was posted in fashion week, Her Closet and tagged NYFW, spring 2013 trends, spring color trends, spring trends. Bookmark the permalink.